“The health care system has become horribly perverted,” says Alex Gibney, director of The Inventor: Out for Blood in Silicon Valley. Nobody likes having a needle stuck in their arm. And nobody likes having money sucked out of their wallet, either. So when smart young entrepreneur Elizabeth Holmes emerged from Silicon Valley claiming to have a cure for a broken health care system, politicians and journalists and investors couldn’t wait to shower her with praise and money. But the story of Holmes’ company comes with a sting. Her black outfits helped create an image of a new Steve Jobs-esque voice in Silicon Valley, but after faking demos and lying about patient treatment Holmes and her partners are now awaiting trial on charges of fraud. The Theranos fraud exposes fundamental problems with Silicon Valley, the health care industry and the myth of the genius inventor from Thomas Edison to Steve Jobs. 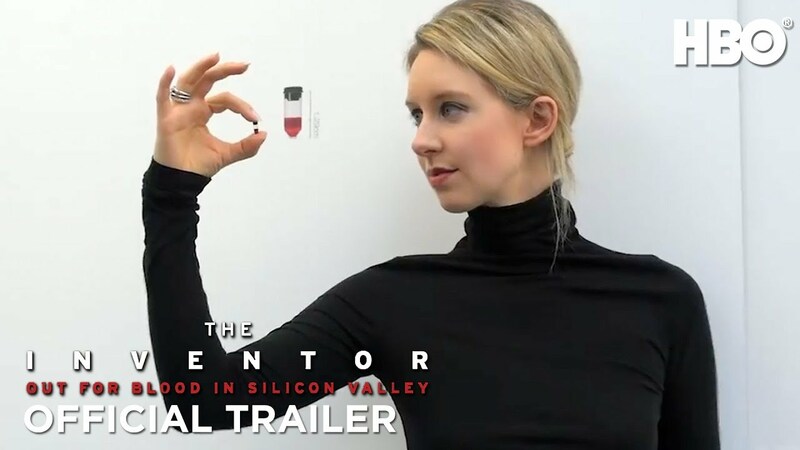 New documentary The Inventor: Out for Blood in Silicon Valley, now available to stream on HBO, reveals the whole bloody mess. That was a line Elizabeth crossed. When she put people at risk, that was the problem. Everyone can agree that fixing problems in health care is a noble cause, but relying on Silicon Valley and the private sector also lined up with other political agendas for the politicians who backed her. “This notion of the entrepreneur lets government off the hook,” Gibney says. The director does credit Holmes with highlighting problems in the laboratory testing industry. “They’re incredibly opaque with their pricing,” he points out. Patients don’t pay directly for blood tests, so depending on the circumstances, the illness or even the state, lab companies can charge outrageous prices to insurance companies to complete the test. Silicon Valley has adapted the credo of “move fast and break things,” which means iterating and making mistakes until you find the right path. But you can’t make mistakes when people’s lives are at stake. And real people were put at risk when Theranos pushed ahead with a contract with Walgreens to carry out blood tests for ordinary people. Within Theranos, a culture of silence and paranoia couldn’t suppress the lies forever. And so Theranos employees blew the whistle on the deceit. An antitrust lawsuit filed by the Washington state attorney general against CHI Franciscan will not go to trial, according to the Kitsap Sun. 1. The lawsuit, filed in 2017, alleged Tacoma, Wash.-based CHI Franciscan’s affiliation with two physician groups in Kitsap County raised healthcare prices and decreased competition. 3. A trial in the case was slated to begin March 19 but was called off March 15 after the parties notified the court that the matter was resolved. 4. Specifics about the settlement have not been released. The parties have until April 29 to file documents outlining the settlement and requesting the case be dismissed, according to the Kitsap Sun. 5. A CHI Franciscan spokesperson told the Kitsap Sun that the settlement will ensure the health system’s affiliations with the two physician groups remain in place. “This is good for patients and doctors on the peninsula, keeps our highly skilled doctors in our community, and ensures everyone has access to great care close to home,” the spokesperson said. Access the full Kitsap Sun article here. Health care executives gave no indication to bankers and investors at this year’s J.P. Morgan Healthcare Conference that their pricing practices would change any time soon. The big picture: The U.S. spends far more than other industrialized countries on health care. But Americans, on a per-person basis, don’t go to the doctor or hospital more than people in other wealthy nations. There are also fewer doctors, nurses and hospital beds, per capita, in the U.S.
That means the U.S. spends more because hospitals, doctors, pharmaceutical companies, device manufacturers and others charge higher prices, and health insurers aren’t negotiating good enough deals. “Lowering prices in the U.S. will need to start with private insurers and self-insured corporations,” the authors wrote in this week’s update, published in the journal Health Affairs. Reality check: Health care companies, even not-for-profits like hospitals that don’t have typical investors, have prioritized meeting revenue and profitability goals, and that short-term thinking compromises reform, according to interviews with people who attended the J.P. Morgan event. Many executives continue to tout different ways of getting paid, like “value-based” pricing, but there’s no evidence those models will save money. Drug companies are still focused on raising prices or buying lucrative biotechs, while providers find more ways to maximize what they get paid from insurers. As a result, insurers and employers raise premiums or deductibles for taxpayers and employees, which affects everyone’s paychecks. One example: Dennis Dahlen, the chief financial officer of Mayo Clinic, told attendees how his academic medical center is building its own “five-star” hotel and is expanding proton beam therapy, even though that expensive treatment has limited or no clinical benefit. “This is about money and [investors] getting a return,” said Stephen Buck, founder of cancer tech app Courage Health. Yes, but: Some in the industry realize they need to act. Marc Harrison, CEO of Intermountain Healthcare, said in an interview his hospital system has lowered the “cash price” of some services, like normal vaginal childbirth, to help people who have high deductibles — although services like childbirth often cost a lot more than the deductible. Intermountain also has negotiated with insurers, with the exception of one unnamed company, to hold patients harmless if they get a surprise out-of-network bill, Harrison said. What to watch: Democrats are using “Medicare for All” and price-setting as a litmus test for 2020 candidates, and Democrats in Congress are proposing Medicare negotiation for drugs — an idea that Trump supported in the past. Regulatory or legislative changes to pricing are not completely out of the question if the industry fails to act. U.S. hospitals spend more on prescription drugs than their peers in European countries, and the same is true for medical devices, a new study published in Health Affairs suggests. In some cases, hospitals in the U.S. paid six times more for a medical device than their European counterparts. The study was conducted by two researchers from the London School of Economics and Political Science who looked at what hospitals in the U.S., U.K., France, Italy and Germany paid for various heart implants, such as stents and pacemakers. They used data from 2006 to 2014 from a large hospital panel survey consisting of 30,000 unique price points. The researchers found that depending on the type of stent or pacemaker, U.S. hospitals paid anywhere from two to six times more than the country that paid the lowest prices. The country that often paid the lowest price was Germany. One example provided was drug-eluting stent prices. The price of the device in the U.S. consistently exceeded the price in Germany by $1,000. Prices between countries differed for various reasons, including the market power of medical device manufacturers and each country’s tech-based regulations. 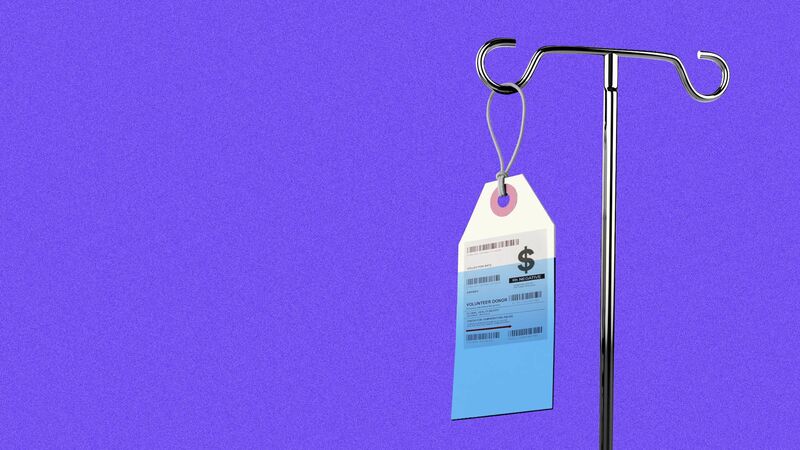 The findings suggest “that manufacturers exploit varying levels of willingness to pay and bargaining power between buyers to charge different prices across hospitals and increase profits,” the researchers wrote. Integration and consolidation among health care providers and health plans has the potential to improve the coordination and quality of patient care. However, when markets become highly concentrated — served by a single or a few large health care organizations — competition is curtailed and health care prices and insurance premiums tend to rise. In a Commonwealth Fund–supported study in Health Affairs, researchers explored the effect of market consolidation across California between 2010 and 2016 on outpatient visit prices and premiums for individual coverage on the Covered California marketplace. The study focused on two measures of consolidation: the percentage of physicians in practices owned by hospitals and the total market share controlled by hospitals, health plans, and physician practices in a particular area. The number of physicians in hospital-owned practices increased from 25 percent to 40 percent across select California counties between 2010 and 2016. Hospital employment increased more steeply among specialists than primary care physicians. Among the specialties studied (i.e., cardiology, hematology/oncology, orthopedics, and radiology), employment rose to 54 percent from 20 percent. In comparison, primary care physician employment increased to 38 percent from 26 percent. Premiums for individual coverage rose the most, by 12 percent, in areas with both high consolidation among hospitals and a high percentage of hospital-owned physician practices. Prices of specialty outpatient visits were 9 percent higher in areas with 100 percent hospital-physician employment compared to areas with average levels. Prices of primary care visits were 5 percent higher in areas with high versus average hospital-physician employment. Seven counties were identified as “hot spots,” or markets with concerning levels of health care mergers and consolidation that could be limiting competition. The significant price increases in California markets with high hospital-physician employment and hospital consolidation point to the need for careful scrutiny of health care mergers and acquisitions. Additional research is needed to determine if the price increases are tied to improvements in patient care. For instance, if care is more expensive because it is more comprehensive, then overall utilization and spending should decrease. At the same time, regulatory laws and actions may be needed to prevent some health care organizations from attaining unfair market advantages that shut out rivals and raise prices. In California, hospital acquisition of physician practices, particularly in markets with limited hospital competition, is associated with higher prices for outpatient visits and higher insurance premiums on the individual marketplace. The merger would increase market concentration in the PBM space and put other insurers at a competitive disadvantage, Dave Jones says. The proposed $69 billion merger between CVS Health and Aetna hit a snag on Wednesday when the California insurance commissioner urged the Department of Justice to block the deal. California Insurance Commissioner Dave Jones said the proposed merger would have significant anti-competitive impacts on consumers and health insurance markets and would also pose a concern in the Medicare Part D market. Nationally, Aetna has a 9 percent market share among Part D plans while CVS Health has a 24 percent market share, with even greater overlap in some geographic markets. Economic evidence suggests that increasing the market concentration and reducing competition for Part D plans will likely result in higher premiums, Jones said. California is the largest insurance market in the U.S., according to Jones. Insurers collect $310 billion annually in premiums from individuals and businesses in the state. “Mergers which decrease competition are not in the interest of Californians,” Jones said in the August 1 letter to Attorney General Jeff Sessions and Assistant Attorney General Makan Delrahim. In 2016, Jones also vetoed the proposed Anthem/Cigna and Aetna/ Humana mergers that were both blocked by federal regulators. Jones did approve of Centene’s plan to acquire Health Net, a deal that also received federal approval. Those mergers would have combined competitors in the same industry, while CVS has dominant market power as a supplier. Post merger, CVS would have less incentive to keep down the cost of prescription drugs for insurers competing with Aetna, Jones said. Insurers would have difficulty using CVS’s pharmacy benefit manager, CVS-Caremark. CVS currently provides PBM services to 94 million plan beneficiaries nationally, of which 22 million are Aetna subscribers. The merger would increase market concentration in the PBM market, eliminate Aetna as a potential entrant in that market and put other insurers at a competitive disadvantage, he said. Many of the largest PBM competitors are also owned by health insurers, such as OptumRx, which is part of UnitedHealthcare, and Cigna, which has initiated a merger with Express Scripts. “The PBM market’s lack of competition and the merger of CVS-Aetna is likely to put other insurers that do not own a PBM at a disadvantage,” Jones said. The merger would not benefit consumers and it would also harm independent pharmacies, he said. The California Department of Insurance does not have direct approval authority over the proposed acquisition because the transaction does not involve a California insurance company. It does involve Aetna subsidiary, Aetna Life Insurance Company, which is licensed by the state. The proposed merger was announced in December. The deal has been going through the regulatory process.